Introduction - What Is gPhoton? Installation - How Can I Get It? How Do I Determine What Version I Have? A paper describing the gPhoton project has been accepted in ApJ. If you use gPhoton for your research, please cite: Million et al. 2016, ApJ, 833, 292. You can also access the article on arXiv, a free preprint server. 18 March 2017: v1.28.4 Merged To Master - The master branch has been updated to v1.28.4. This version's main highlights are the addition of EXPSTART, EXPEND, and EXPTIME keywords to each FITS header of gMap image cubes, and new columns to the output light curve files containing the number of known MCAT sources within the photometric aperture or annulus, respectively, and the distance to the nearest MCAT source. 22 November 2016: v1.28.1 Merged To Master - The master branch has been updated to v1.28.1. This version includes Python 3.x compatibility, and a new pip installation procedure (normal "pip install" now works). 01 August 2016: v1.27.2 Merged To Master - The master branch has been updated to v1.27.2. This is the version associated with the accepted introductory paper, and is the recommended minimum version that should be used for research. It includes some bug fixes. Instructions on how you can determine what version you currently have installed are found here. 28 April 2016: v1.27.1 Merged To Master - The master branch has been updated to v1.27.1. This is the version associated with the submitted introductory paper, and is the minimum version that should be used for research. It includes a number of bug fixes and calibration improvements. Instructions on how you can determine what version you currently have installed are found here. 4 March 2016: v1.27.0 Merged To Master - The master branch has been updated to v1.27.0. This was the version to be associated with the introductory paper, but additional bug fixes were found before submission. Even so, this branch included a large number of bug fixes and calibration improvements. There are three primary data products that can be created using gPhoton. There are three primary Python modules you will use. gFind - The search tool. Queries the database for available data (reported as time ranges) at a given coordinate. gAperture - The photometry tool. 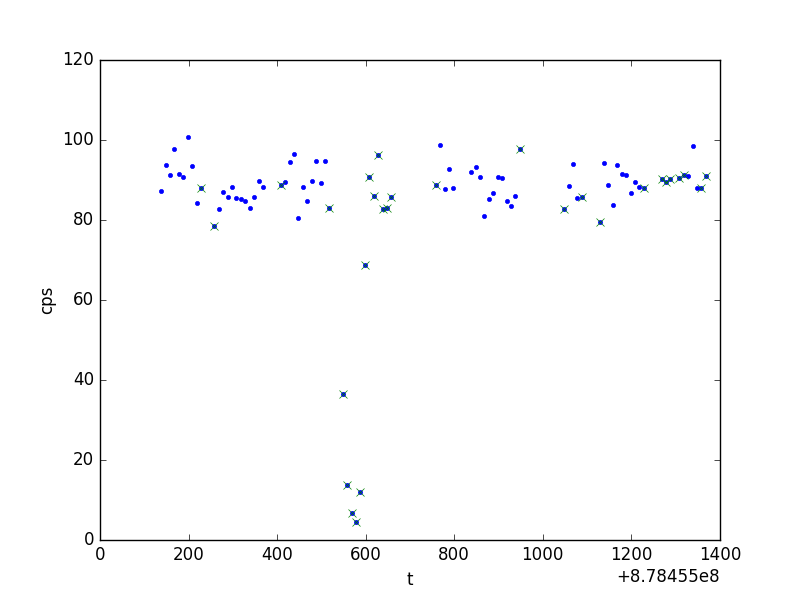 Performs aperture photometry at the given coordinate and returns light curves at a specified bin width. Can optionally write a "photon event file" containing each event. gMap - The image tool. Writes FITS images or image cubes (image frames) of a requested sky region. 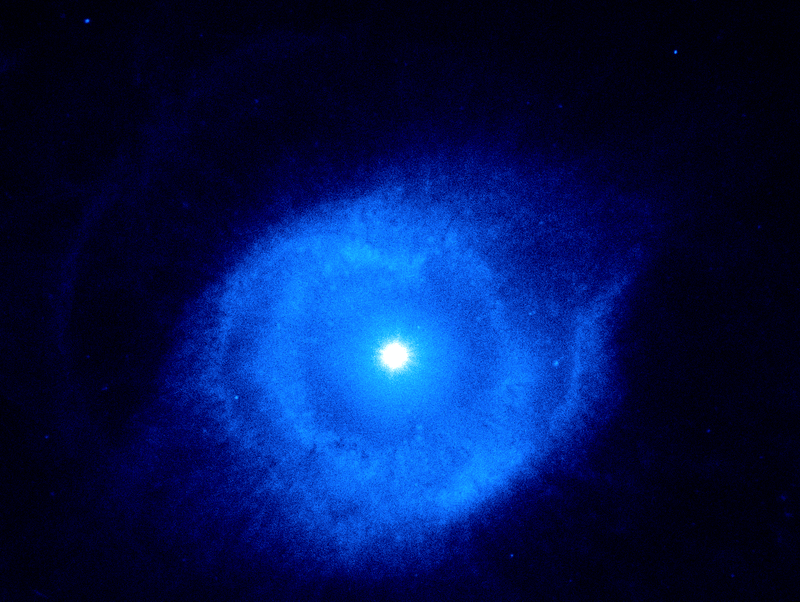 The Galaxy Evolution Explorer (GALEX) mission surveyed the sky in the ultraviolet for approximately ten years between April 2003 and June 2013. Its two microchannel plate (MCP) detectors recorded the position and time-of-arrival of incident photons ("photon events") with a time resolution of 5 thousandths of a second. Due to storage space and processing limitations, however, these data have previously been released and archived almost exclusively as integrated images (with visit- and coadd-level depths of minutes or more). 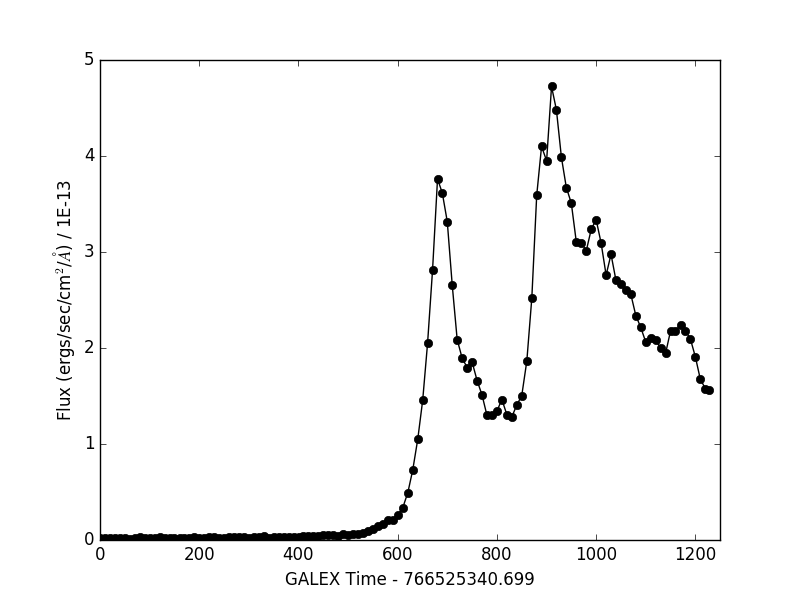 The gPhoton database and associated software tools now give researchers the means to use photon-level GALEX data up through General Release (GR) 6/7. The corpus of GR 6/7 photon data is composed of more than 79 billion FUV and over a trillion NUV photon events. On disk, the gPhoton database is approximately 130 TB. The gPhoton command line tools permit users to search for coverage within this database and create calibrated light curves, images, or movies, with the flexibility to set time and spatial ranges or cuts across the entire mission. This enables studies of variability at timescales shorter than the GALEX visit files, customization or refinement of the calibration, and simplifies the fusion of data across mission phases, surveys and modes. When imported as Python modules, gPhoton permits even more detailed work with the data, including analysis at the level of individual photons. There are two ways to install the gPhoton software. Option 1: Install via pip. Option 2: Install via GitHub. This section is intended as a "quick start" guide. For more details about how to install the gPhoton software, or its software dependencies, consult the gPhoton User's Guide documentation. This is not a transiting object! It's caused by the source moving over a hot spot. In this case, it's flagged by gPhoton (check the flag column from gAperture output for non-zero values). 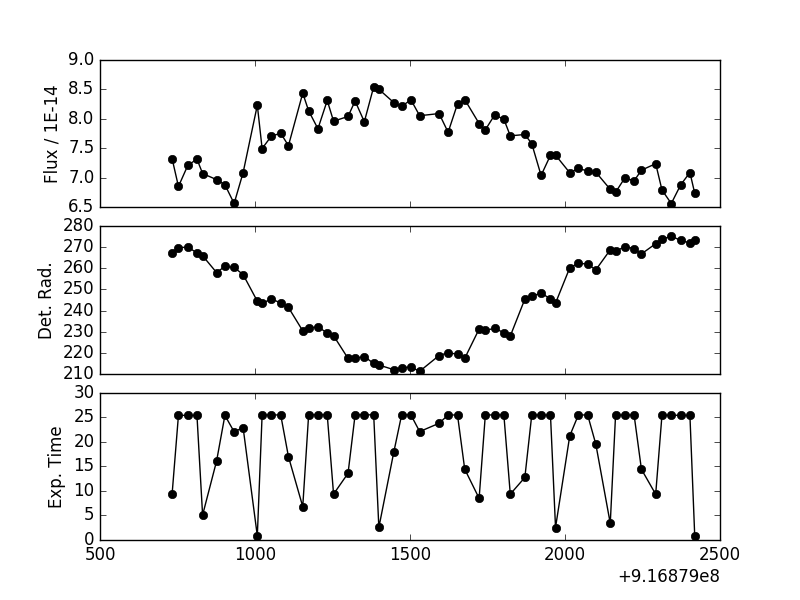 This is not real variability! Always check for correlations with other parameters, especially detector radius and effective exposure time. These are output from gAperture. The gPhoton software is intended to be a friendly, easy-to-use service to the community. However, like any large data set there are caveats, pitfalls, and "gotchas" that can sometimes be identified only through experience and careful examination of your results. We strongly recommend that all users read the GALEX technical documentation, and we also recommend that users read the GALEX mission overview paper Morrissey et al. 2007, ApJS, 173, 682. You should also read through the gPhoton User's Guide, which will be continuously updated and improved by the gPhoton team. The gPhoton project is a work-in-progress, and is continually updated and improved. Below we note a few important items to be aware of when using our software. Do not run a lot of gPhoton jobs in parallel. The gPhoton database is a single entity, if there is a lot of traffic then jobs will run slower (or even time out) for all users. For now, we ask that you limit the number of simultaneous jobs to five or less per person. If this significantly impacts the science you want to do with gPhoton, please email us to let us know: the more demand there is for gPhoton the better the chance of getting additional hardware support. We have compiled a list of important effects to be aware of when analyzing your gPhoton results, such as data artifacts, known issues with the Python software, or frequently asked questions. Visit our gPhoton Gotchas Page. You are encouraged to email the gPhoton team with any questions or strange features and behaviors. This helps us fix bugs, improve calibration, and compile this list for other members of the gPhoton community. gPhoton is available as a public release. We will continue to update gPhoton, e.g., improved backend stability, query efficiency, better calibration, and adding new features to the Python software. If you have comments, suggestions, questions, or problems -- or if you would like you be added to our "users" email list -- please contact the team using the MAST help desk email (archivego away spammers@I said go awaystsci.edu). Be sure to include the word "gPhoton" in the subject line. The gPhoton project is under active development on GitHub (https://github.com/cmillion/gPhoton). We welcome contributions from the community.